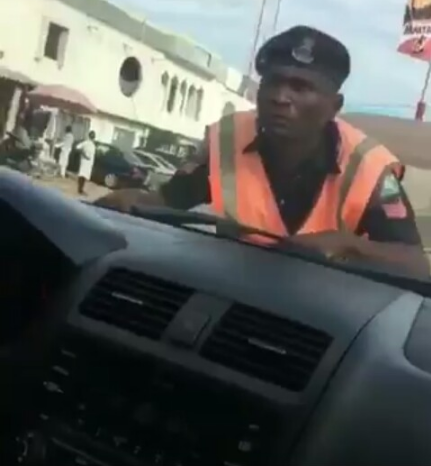 There was a mild drama at the weekend in Maiduguri, Borno state capital, between a police officer and a motorist who refused to 'settle him'. The Police officer after seeing the man's papers were in order, had to pull a string that got people wondering what else he wanted. 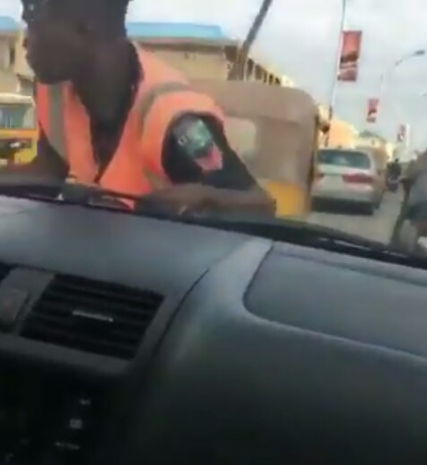 In the trending clip, the officer was spotted on the bonnet of the man's car which was on motion, while the driver pleaded with him to come down and allow him to go.